Asylum Records was formed by David Geffen in 1971. The label specialized mainly in folk-rock and singer/songwriter material. The first artist signed to Asylum was Judee Sill. Soon after followed David Blue. Geffen scored a coup in 1974 by signing Bob Dylan for two albums during his brief estrangement from Columbia Records. In the mid and late 1970s, Asylum released records by such influential artists as Tom Waits and Warren Zevon, as well as albums by former members of the Eagles, the Byrds and Buffalo Springfield. August 1973 The Elektra & Asylum Records labels were combined to form the companies Elektra/Asylum Records and Elektra/Asylum/Nonesuch Records. With this date, Asylum Records also left the old distribution at Atlantic Records. Geffen left the label soon afterwards and founded Geffen Records in 1980. The label name was retired from use on new releases in 1989, but returned to occassional use in 1992 for country releases. In 2004, after Warner Music was purchased from Time Warner by a consortium of private investors led by Edgar Bronfman Jr., Asylum was reactivated and became a southern-oriented hip-hop label. Asylum is also the current distributor for Rap-A-Lot Records and Swisha House Records. Although considered an independent label within the Warner Music structure, its numbering system and UPC prefix are those of Elektra Records. 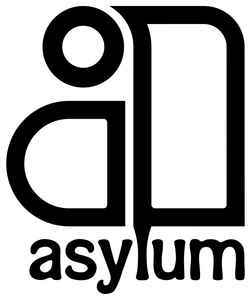 For unofficial releases using the identity of this label, see Asylum Records (7).